Welcome to the ibis Lyon Est Bron hotel! Our entire team will be delighted to welcome you to Lyon for an unmissable culinary stopover with the ibis network. We offer home-made cuisine made from fresh produce. See you soon! 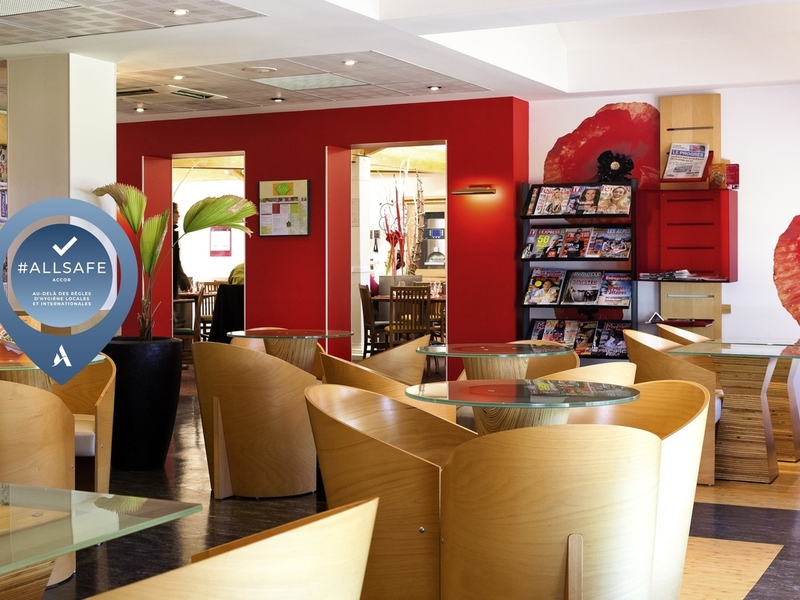 The ibis Lyon Est Bron hotel is located in Bron on the eastern edge of Lyon, 15 minutes by taxi from Lyon Saint-Exupéry Airport and in the center of the hospitals in eastern Lyon. Perfect for a business or leisure stay, our hotel has 100 rooms equipped with Sweet Bed by ibis bedding and mattress topper, free unlimited fiber-optic WIFI, a free enclosed private car park, a web corner, 4 meeting rooms, an ibis Kitchen restaurant with terrace offering homemade dishes and a 24-hour snack bar. Located in the Montchat residential area, our hotel will surprise you with the calmness of its rooms and environment, despite the proximity of the Lyon Ring Road. Free and secure parking allows you to park in peace. This summer, enjoy a meal in complete serenity on our ibis Kitchen restaurant terrace! Our 100 rooms include the "Sweet Bed by ibis" bedding with mattress overlays to guarantee you a good night's sleep. The rooms all have a private bathroom with shower or bathtub, hairdryer, TV and WiFi. Discover the home cooking of our famous Ibis Kitchen restaurant. From appetizer to dessert, enjoy a generous buffet, cooked from fresh and seasonal products. The entire team welcomes you with a smile for a nice, warm moment. For a moment of relaxation or work, the hotel bar welcomes you around the clock. Discover our choice of hot or cold drinks and snacks. Enjoy our foosball, magazines, and very high speed WiFi for free.